Obituary for Rita (McNeely) Lachapelle | Hillside Funeral Services Ltd.
Lachapelle, Rita (nee McNeely ) 1926 - 2019 - Rita passed away at the North Bay Regional Health Centre on Saturday March 30, 2019 at the age of 92. She was the beloved wife of 62 years to Ray Lachapelle. Survived by son Tim. Predeceased by her parents William John and Melena McNeely, Beloved and will be sadly missed by many nieces and nephews. A funeral mass will be held for both Rita and Ray at St Peter the Apostle Church, 299 Airport Rd on Saturday, April 6 at 11:00 am. 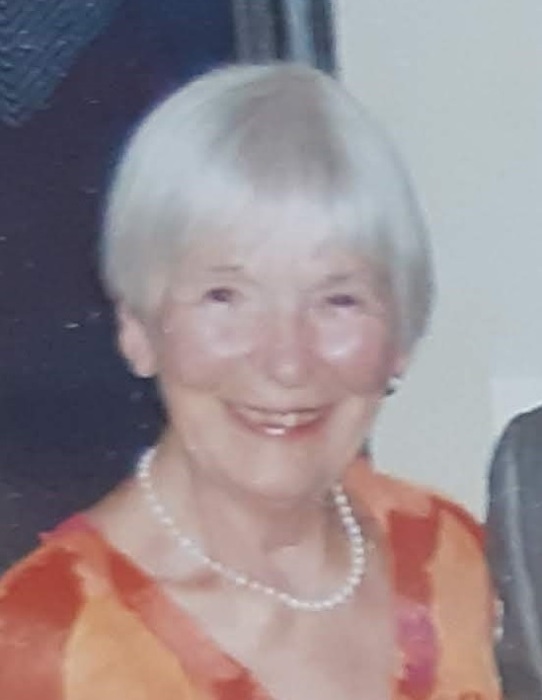 Donations to the North Bay Regional Health Centre or St Peter the Apostle Church in memory of Rita will be gratefully acknowledged by her family. The Lachapelle family would like to give a heartfelt thank you to the nursing staff of C-1, of the North Bay Regional Health Centre, Dr. Micheal Leckie and Dr. CJ Rogers of Near North Medical Clinic for the care given to Rita.